Today is the first Wednesday of the month which means it’s time for another installment of Insecure Writer’s Support Group. If you haven’t seen one of these in action, then hop on over to the Ninja Captain and his Co-hosts Tyrean and Jamie then hop onto Mr. Linky and read up. I know that it’s a brand new year and all, but I’m not going to talk about the normal beginning of the year thing. I’m going to talk about failure: it’s not what you think. It’s been one full year since I joined the ISWG bloghop. My first post was about putting myself out there and trying as hard as I could. I did. I followed through, and you know what? It wasn’t enough. Feel free to go read those posts so you know what I’m talking about, but sometimes even your A+ game doesn’t cut it, and something happens: you fail. People don’t talk about failure the same way they talk about success. When you talk about success you’re either talking about it from the standpoint of one who has just succeeded or someone who hopes to succeed. When you talk about failure, you either talk about it as one who has failed or someone who’s afraid of it. Bitterness and fear overshadow the truth: failure can be a gift. No really, hear me out. When I failed—and I mean grade A, standing on a pile of smoking ash that had once been my dreams failure—the world became clear. I don’t know if there’s something magical in the smoke of burning dreams, but it made me fearless. It’s hard to be scared of anything when the thing you feared the most has just happened. Then it felt like every door in the universe opened up. Without the fear, I could try anything, so everything suddenly became an option, every path. That's ridiculous; my failure didn’t create new opportunities, it only let me see the ones I’d already had. But I would have never even considered those other futures if I hadn’t failed. I’d focused so hard on that one thing that I couldn’t even see all the other possibilities of the world. Sure, this is that strange afterglow of a break up, and maybe it’ll wear off after years and years of piled on failure, but I doubt it. It was like that dying dream was an anchor, and I was swimming across the ocean of my life. When that dream died, I was cut free. I’d always feared it, thought I’d drown without it. All that time I’d been clinging to the thing that was drowning me. Failure gave me freedom. I was too scared to see past this one thing. And I think so many writers find themselves in this place. We fall in love with a manuscript. It becomes our dreams. We put these manuscripts out into the world, and then we find ourselves having to make a decision: to trunk or not to trunk. There’s a lot of conflicting advice on this one. Accept the failure and move on to the next project, or fight for the novel in your hands. I have no answers to this conundrum, but Miss Snark had a great set of guidelines. She said to query 100 agents before giving up on a manuscript. Which is great, but I saw someone get an offer after 127 queries for a single manuscript. Yikes! How to decide? When a book doesn’t get you an agent, or worse, gets you an agent but doesn’t get you published it is NOT the end of the world. There are other books. Other ideas. Some of those ideas are going to be better than the one you’ve just spent the last 18 months/18 years slaving over. So if you’re on the verge of trunking a novel, it is not the end. I know this sounds sappy, but it's 100% true: Failure is not the end. It is the beginning of a journey you couldn’t see. All you have to do is decide what to write next. Brilliant post, and I agree 100%! It's very much a "face your fears" kind of deal, and once it's done, it gives you a whole lot more freedom! Exactly. And it can be so hard to face those fears, but what I found was that accepting and acknowledging the fears makes everything easier. Like public speaking. The only way around it is just to go straight through it. While it might be sad and difficult to put one dream aside, so many others are waiting in its place. Meanwhile, the knowledge you've gained from the pursuit of a passion is never wasted! Experience is an amazing teacher, and dreams are a funny business. I wonder...is it okay to keep querying the old stuff while you write the new stuff? That way you never give up, but keep going forward. YES! Query the heck out of that manuscript, but before you go blithely querying something ask yourself it is really truly your best work. I hear agents go on all the time about how "Good, just isn't good enough." So is your novel spectacular? if yes, the query query query! If not, maybe it's time to think about a revision first. Great post, Rena! Very true, and something we all need to hear. Thanks for sharing! Thanks, Rachel. 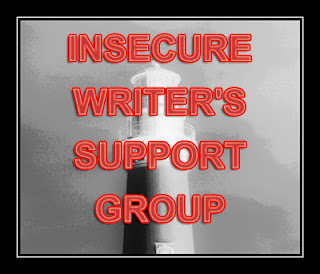 I always get nervous with the insecure writer's posts, so it's good to hear. Love this! You're so right, we don't talk about failure enough. Sometimes failure is exactly what we need to find success. Great post! I kept struggling with the idea that this is basically a repeat of a ton of pop lyrics. I guess this is the classic case of the epiphany that you can't understand until you've been through it. Something like this, the question of when to move on isn't quantifiable. What it comes down to is: do you still believe in the project? If you do, then it doesn't matter if you have 100 rejections or 500 rejections--keep on pressing. If, however, you get to a point where it's like, gee, you're swell and all, book, but I think I want to lead off with this other book over here, then there's your cue. You are so full of wisdom, I sure miss your blog. And yes, the answer to questions about trunking or not to trunk are there for a person, though sometimes they are really hard to spot. That's right - it's only failure if it forces you to quit. But when you pick yourself up, learn from it, and keep going, then it's not. I'm not sure it's really failure when it makes you quit. It's failure when you stop growing and being yourself. This is such wonderful advice! We have to let our failures set us free from the little boxes we put ourselves in. I hate that it sounds like the cheesy stuff of nostalgia, but it really does, it's crazy. Oh my gosh... I get this. I soooooo get this. And you've reached a level of perspective a lot of people never reach. Wow. Thanks so much for this post---it really is inspirational--and you worded it all so perfectly. Thanks, whenever I write these, I'm so insecure (I know, ironic!) about whether anyone will like it. I think failure is a great motivator. I'm a successful failure! But 100 queries? That's way too low. At least 250. Great post, Rena. Failure is freeing. If you're not too afraid to fail, you're not too afraid to try. Wish you the best for 2013! only losers take failure as the end! winners learn from it, keep trying and succeed!! heres to success in 2013! Failure is a tool for growth, not the ending of a dream. It's this reason right here why i always start a new MS when i query. Because then it makes rejections easier. Once i fall in love with a new WIP, my intense love of the querying fades a little. Here's hoping 2013 treats us both better. This could be our year! !